Team Works Production Group | Red Skios LTD. 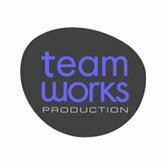 Dedicated to servicing international production companies shooting throughout Spain with offices in Madrid, Barcelona, Marbella and Valencia, Teamworks is a subsidiary of ONLY NINE TO FIVE, one of the largest productions companies in Spain. We provide services for TV commercials, still photo shoots, feature films and TV programs. Teamworks production needed a software solution to fast distribute multimedia content (audio, film locations) to customers with a high level of flexibility and security. Skios developed a JEE app with a custom multimedia storage system and management solution.